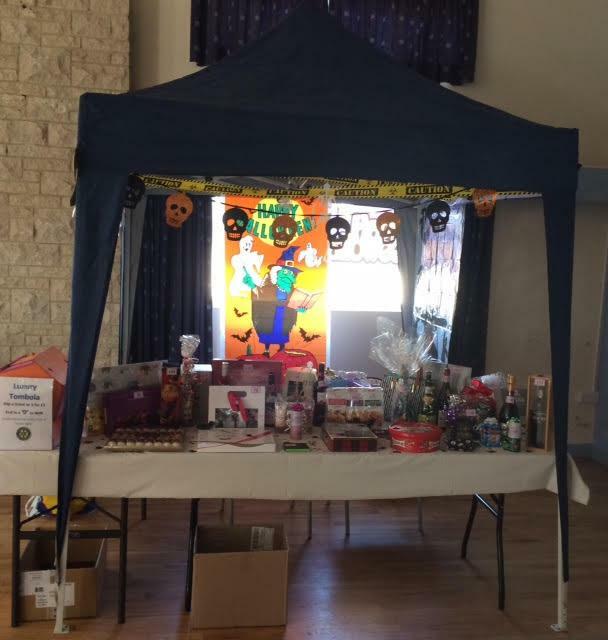 On 27th October Rotarain members decorated and ran a Tombola stall at the Camerton Village Hall for the Timsbury Cheshire Home's Halloween Fayre. Prizes were donated by Rotary members and the stall was a huge success making a record £ 209 profit for the Home. Somer Valley Rotary also staffed the raffle where the publiuc were "scared" into buying tickets and a further £100 was raised.